Myriam Da Silva entered the competition against Kimberly Gittens from Barbados. Gittens had recently won bronze at 2019 Independence Cup, but fell short against Da Silva who came into the bout with a solid game plan. Controlling the pace of the match, the Canadian boxer won a 4-1 split decision. With this preliminary victory, Myriam is now in the Top 8 and advances to quarterfinals where she will face American boxer Oshae Jones on April 7th during the evening session. Having obtained a bye in the first preliminary round, Nickenson Denis stepped into the ring against one of Brazil’s top middleweight fighters, Hebert Da Conceição, for his first bout of the tournament. In a well-fought bout, both athletes displayed solid athleticism and good boxing skills but Nickenson unfortunately was on the wrong side of a split decision and lost 4-1 to the Brazilian boxer. 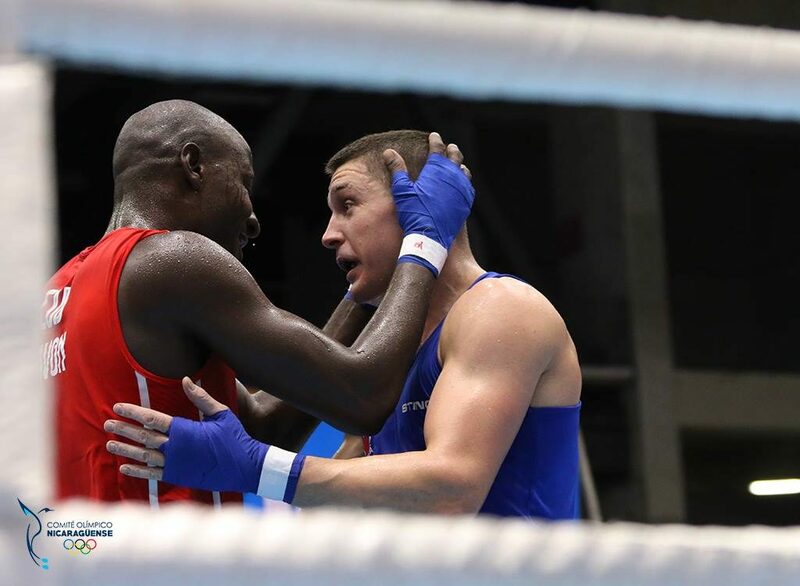 After a convincing win against Haiti in his first bout, Bryan advanced to the quarterfinals where he squared off against Cuban Savon Erislandry. Ranked World’s #1 heavyweight boxer, this opponent proved to be one of Bryan Colwell’s most challenging bouts. Unfortunately, the Canadian boxer lost this fight by a 5-0 score. While he lost, this fight was an extremely valuable experience and a great test to understand where he currently stands against the current top heavyweight. Both boxers exchanged words to each other after the bout as a signs of respect and recognition. Sabrina continues to show boxing prowess and great technical skills as she wins her second bout of the competition against Nicaraguan boxer Keylin Reyes by unanimous decision. This quarterfinal victory secures her spot in semifinals. Guaranteed a medal, she will back in action on April 9 against Leonela Sanchez from Argentina. Both boxers have performed convincingly since the start of the competition so make sure to tune it to this bout as Sabrina will attempt to advance to the final.